On a whim, I applied to speak at #DisruptHRDen in March 2018. Obviously, I love the whole #DisruptHR movement so it wasn’t a lot of arm twisting to want to attend in Denver and I usually use speaking as an “excuse” to make a trip (like I did in Minneapolis). I knew I could see some old friends and new Twitter friends (and even got to stay with the awesome Kelly Marinelli, my Twitter/SHRM BFF). I also knew I would be able to hang out with the wonderful Mary Faulkner who brought the whole idea of DisruptHR to Denver (and the world, if we’re honest, because she was the one who had the idea that Disrupt needed to be in more places than Ohio). I arrived at the restaurant before Mary and ordered some garlic bread and coffee. My flight was early and I hadn’t driven through a coffee shop after picking up the rental car. The garlicy, buttery bread arrived slightly before Mary did. Mary swept through the door of Amici’s restaurant in Wheat Ridge Colorado and dug into the 2nd piece of garlic bread after a quick hug and greeting. But as usual, I was a bit distracted (SQUIRREL!) and didn’t get all my questions written prior to lunch, so we used the time to chat, with a promise that I would send the questions later. Honestly, though, the chat helped me put together a few better questions for us to chat about and start some prep work on the post I’ll do about her actual talk. The next evening, at DisruptHRDen, Mary talked about how we met on Twitter and how she had stalked me a bit. I have to admit I’ve been stalking her for a while. She is one of the first from the #nextchat group that I really felt I could talk to in real life, someone I knew I wanted to meet. We got to meet IRL at #SHRM16, in the Bloggers’ Lounge as part of the first #nextchat meet up. And the rest is history, or downhill, or something. 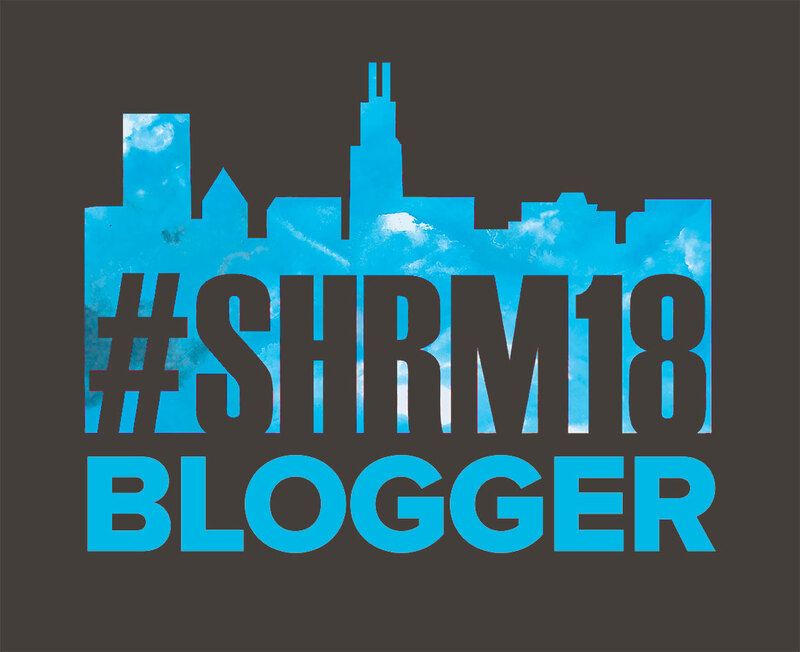 I can remember following Mary’s tweets about SHRM from a number of conferences, so I was a bit surprised that she’s only been an official part of the blog squad for 2 years – apparently she’s been sneaking in for YEARS. Obviously, we need to look at security. #SHRM18 will be Mary’s 5th conference and her 2nd conference in Chicago; I’m following her for the food. Mary is a self-proclaimed introvert, so her favorite part of going to conferences is watching people and stalking, er, spying, um, listening to the side conversations of the attendees – what are they taking away, what commonalities are they finding from other attendees from around the world? In addition to writing, Mary will be speaking for the 2nd time (hey, check it out, Wendy finally got to the point of this blog post). Encouraged by her “Balcony Person” Jennifer McClure, Mary used that boost, along with the desire to share her many, many opinions by speaking (in addition to tweeting & writing). Mary will be speaking on strategic HR, on Wednesday morning (so DON’T LEAVE EARLY), “Lost in Translation: Positioning HR as a Strategic Business Partner” [which I have opinions about as well, so watch for that post to come out towards the end of the conference]. I am hoping that Jon & I will be able to schedule Mary for the podcast prior to the conference, but in case it didn’t work out, I wanted to get a couple of her favorites so you will have something to chat about with her if you happen to meet at the conference. But apparently, asking her for a favorite movie or book is an impossible task – but in reality that just gives you more to talk about. If you stalk, er follow, her like I do, you know she also enjoys Broadway and musicals, Hamilton & Fiddler on the Roof at the top of her list — I’m really hoping she and I can get a little Cabinet Rap Battle going at #SHRM18. We’ll see you at her session on June 20!